News > Luxury country hotel and spa, employs ESE Ltd to carry out electrical network upgrade. All the latest news and views from ESE Ltd. The prestigious country house located in North Yorkshire, England, has decided to upgrade its electrical distribution network as part of its major redevelopment. The new electrical distribution network required a complete equipment replacement. 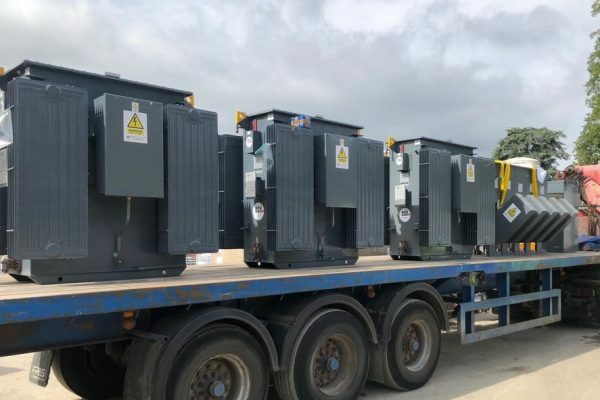 After removing the old equipment, ESE Ltd installed five new ESE Ltd tier one EU Directive midel transformers with a site capacity of 3.7MVA. To feed the new transformers, a new substation including a five panel Schneider Ringmaster was installed. A new Schneider Genie Evo four panel distribution board was also installed with an automatic generator change over, to create a new customers main intake substation. All the equipment has now been delivered and installed on site, ready for the power on date in the coming weeks. The new electrical upgrade will provide a safe and reliable electrical supply for Grantley Hall for many years to come. Please contact our sales department sales@eselimited.co.uk, for a free quotation for all your electrical needs. Get in touch to discuss your requirements or for a free quotation. Our friendly team are here to assist you and answer any questions relating to our products and services.